Located in the centre of the village (500 inhabitants), near Saint Omer (15 km) and Clairmarais (7 km), 35 km from the coast and Belgium. 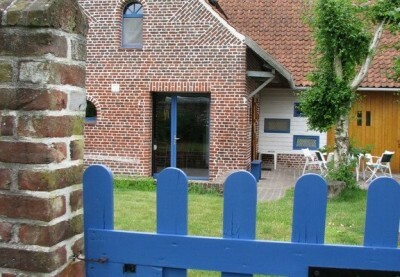 Former farmer, I welcome you in a former Flemish barn converted into a cottage. It has a private garden. Ground floor : kitchen, living room with TV and DVD player, sofa, bedroom with double bed. On the floor : 3 beds of 1 person.